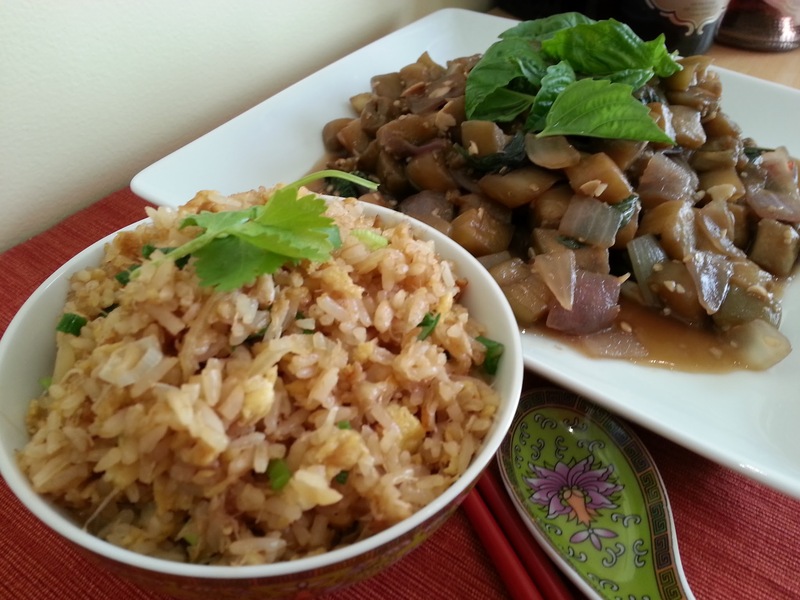 If you have left over jasmine rice, this is a quick dish to fix and very tasty. Heat coconut oil in wok over medium high heat. When oil is hot, add onion and garlic and stir fry until garlic and onions turned light brown. Push garlic and onion to the side of wok. Add egg in the middle of work, scramble when partially set, and mix well with garlic and onions. Add crab meat, 2 tbsp light soy sauce, 1 tbsp fish sauce, 3 tbsp palm sugar, and stir well. 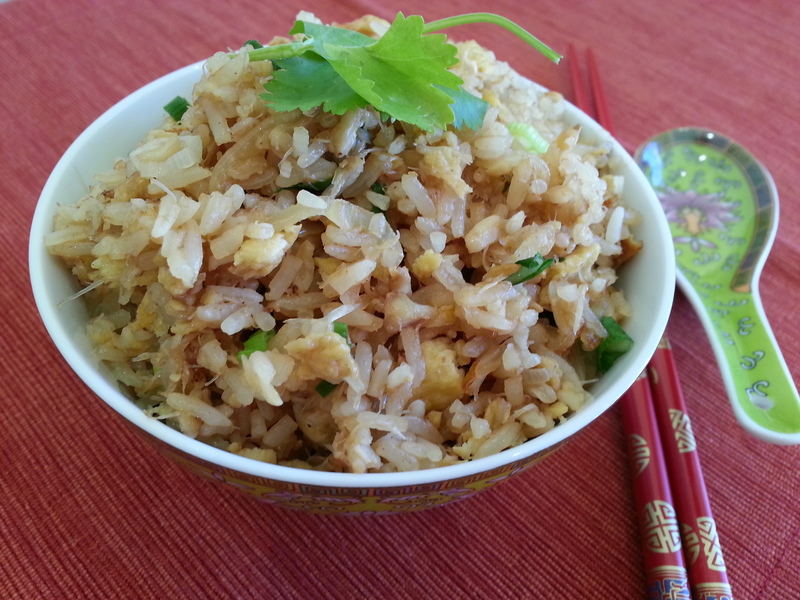 Add chilled rice, 3 tbsp oyster sauce, fry over high heat until ingredients are well mixed and rice is heated through. Add green onions and stir, turn off heat. Note: I have also cooked a vegetarian version substituting the crab meat with fried tofu. Cut a box of firm tofu into small cubes. Fry tofu cubes until golden on all sides. Substitute crab meat with fried tofu in step 4.